Image: The Valley of the Lone. 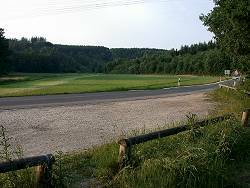 The Lonetal (Lone valley) starts near Geislingen an der Steige and ends south of Giengen an der Brenz, in the Brenztal (Brenz valley). The Ur-Lone, the river which formed this valley, started far more to the north. 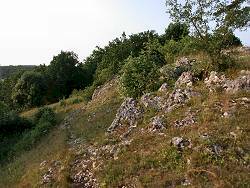 But since then the escarpment of the Swabian Jura move tens of kilometers south because of weathering. So the original upper end of the valley was cut off by the valleys of the Fils and Rohrach river. 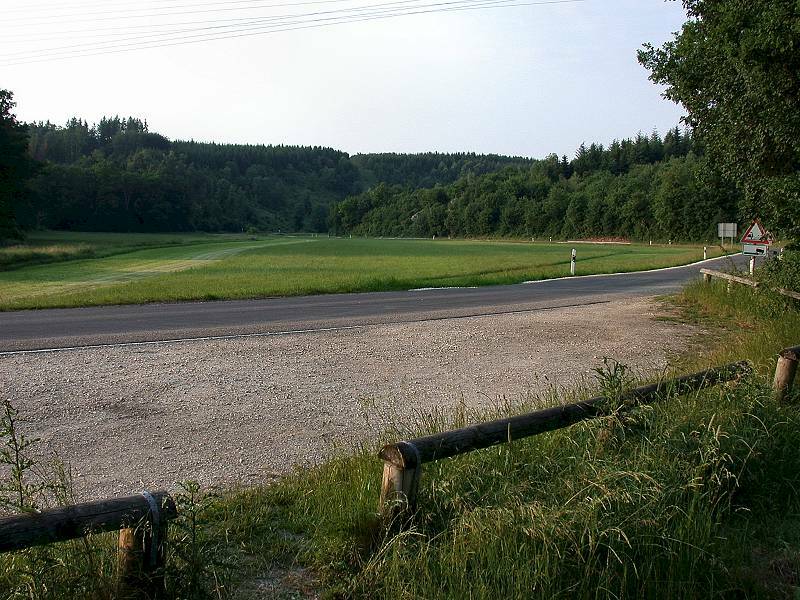 Image: Landscape at the Vogelherd. Driving up the Rohrach valley from Geislingen, following the small brook up to its spring near Amstetten, the valley is rather steep with steep slopes on both sides. But soon after the well the character changes dramatically. This valles is wide and open, rather flat and it goes down the opposite direction. This is the valley of the prehistoric Lone, formed by an ancient stream which does not exist any more. The Rohrbach falls to the north, the Lone valley to the south. From Amstetten to Urspring (74,Kf57) the Lone valley is a dry valley, which is rather typical for karst areas. At Urspring, in a Karst spring, called Lonequelle (Lone spring, production: max=3400l/s, average=220l/s, min=4l/s, 562 m asl) the modern Lone starts. It is also called upper Lone as it flows only to Breitingen. There the water vanishes in the Loneversickerung (lone sink). Similar to the Donauversickerung the water that vanishes here reappears in the spring of totally different river, the Nau at Langenau. 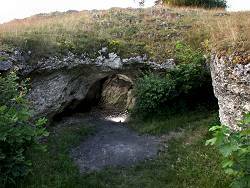 Image: The Große Vogelherdhöhle (Big Vogelherd cave) from outside. From a huge rock called Mehlsackfelsen near Breitingen to the hamlet Lontal the Lone valley is dry most of the time. Only after heavy rains the lone sink is not able to swallow all the water. In very dry years the Lone sinks even earlier, at the Häldelesfels. In the village Lontal some springs form the untere Lone (lower Lone). The catchment area are the plains around Dettingen am Albuch. In very dry years this springs dry out and the lower Lone is dry almost to its mound into the Hürbe. 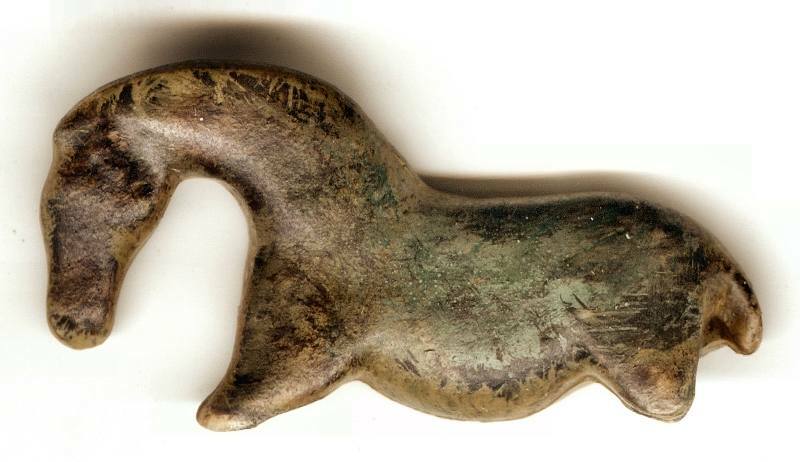 Image: an ivory horse from the AUrignacién found in the Vogelherdhöhle. 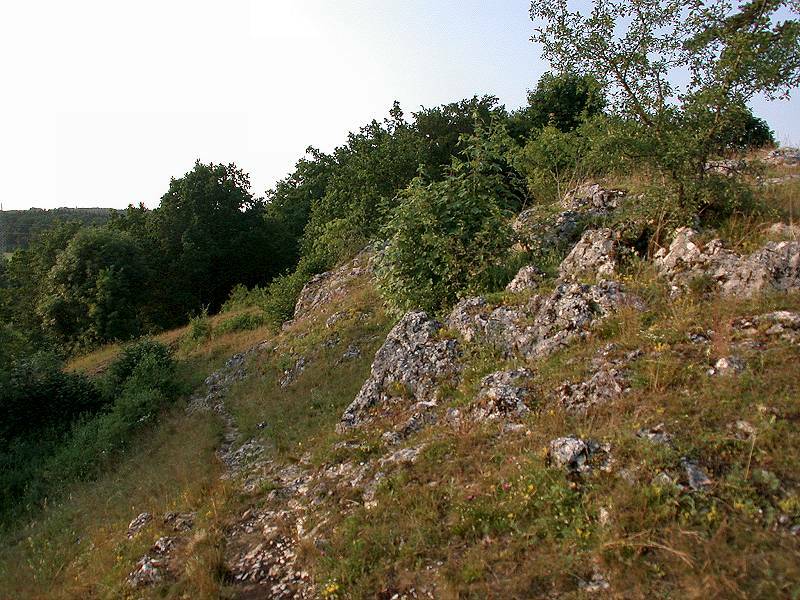 In the slopes of the Lone valley several caves exist. Most of them are very small, some are little more than overhanging rocks used as shelter by stone age man. The stayed here overnight or for longer periods of time. While they lived here, they left various remains. For more than one hundred years archaeologist dig for their remains in the caves of the Lone valley. Maybe the most famous digshere, are those of Prof. Wetzel in 1953 and 1956. He excavated the caves Bocksteinhöhle and Bocksteinschmiede. He later described this excavation in his book Robert Wetzel, Die Bocksteinschmiede. Other caves, known to archaeologists worldwide are the Vogelherdhöhle and the Hohle Stein (the hollow rock) with three caves: Bärenhöhle (bears cave), Kleinen Scheuer (small barn) and the Stadel (barn). All those caves are in the Lone valley near the village Niederstotzingen. All of them are on the sunny side of the valley, the sunlight made the shelters warmer and gave better light for the work. During the excavations numerous flint tools, ivory carvings and bones of cave bear, mammoth, wild horses, elk, rhinoceros, hyena, wolf, caribou and deer were found. Also several human skulls were found and interpreted as skull funerals. 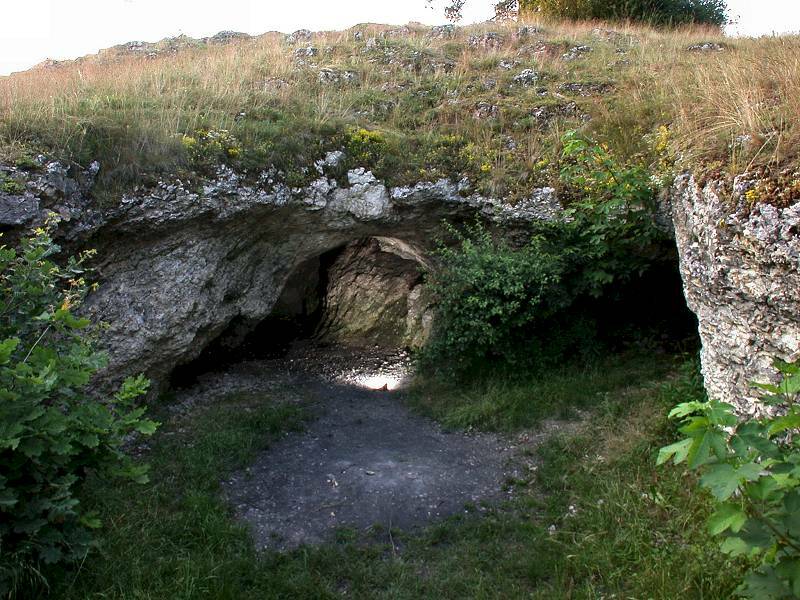 The caves were visited regularly since the early Stone Age. The discoveries of the excavations are today in several museums of the region. The most interesting Stone Age exhibitions of the area are Museum of Ulm and the Prehistoric Museum Blaubeuren. Robert Wetzel, Die Bocksteinschmiede tells the story of the excavations in the Lone valley.